Dawn D. Gile | MacDonald Law Group, LLC | Washington D.C.
Ms. Gile has been with MacDonald Law Group, LLC since its inception. 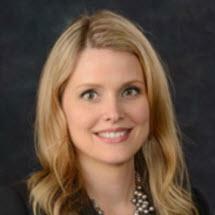 She began working with Neil MacDonald at Hartel, Kane, DeSantis, MacDonald & Howie, LLP in 2008. Ms. Gile's practice primarily focuses on all aspects of toxic tort, products liability, general negligence, and insurance defense litigation. Ms. Gile began her career in Chicago, Illinois, representing physicians, insurance companies, and healthcare entities in litigation, before relocating to Maryland. She currently serves on the board of directors for Military Spouse JD Network, an organization advocating for military spouses in the legal profession, having also served on its pro bono committee. In addition, Ms. Gile serves as a director on her undergraduate alma mater’s Alumni Association Board. Ms. Gile has received several awards for her accomplishments, including the Rockford University Alumni Award of Distinction and the U.S. Department of the Army’s Commander’s Award for Public Service.